I started thinking about this post as one that honored traditions of Halloween – or All Hallows Eve, All Saints’ Day, All Souls’ Day, and the Day of the Dead celebrations. Inexplicably connected, yet vastly different in their methods and rituals, there is a common thread of honor and respect to the souls of the dearly departed. And to the ancient Celtic Holiday of ‘Samhain’ which traditionally began at sunset on October 31st – still the date of our halloween – and continued through the following day. Yet as each culture of differing religious and social beliefs took their own path to this observance, it got a little muddled. What part is mischief making for the sake of merryment itself and what part is sacred tradition? For a listing of the customs in Europe and part of Asia visit Pumpkin Patches. There you will find tidbits like leaving bread, water and a lit lamp on the table before going to bed if you are in Austria. This is so the dead souls can be welcomed back to earth on the night they consider to be magical. And if you want more information on the significance of the jack-o-lantern read the story of Stingy Jack. This is where old Jack roams through the after life with nothing but a coal in his carved lantern from a turnip to light his path. This Scottish/Irish tradition was stuffed into the memories of the immigrants who came to the shores of America and found gourds and pumpkins more suitable for this endeavor. Trick or treating isn’t new either. All you have to do is read a little Shakespeare to find mention of the precursor called ‘souling’ when food was exchanged for prayers for the dead – called ‘Hollowmas’. In ‘The Two Gentlemen of Verona’ from 1593, Shakespeare writes: “like a beggar at Hollowmas”. But I had difficulty finding much about this type of celebration in India or France. In India I could find a practice among Hindus known as ‘Tarpan’ in which the family offers tributes to the deceased. This day is as individual as the offerings, depending on the day the person died. But there was also something called ‘Pitru Paksha’ or (fortnight of ancestors), when the families honor all ancestors during the autumn. And even in France there is ‘la fete de Toussaint’ or All Saints’ Day, when flowers – generally chrysanthemums – are placed on the graves. The difference is the way in which we celebrate. In many cultures there is much frivolity, especially in America. We have generally lost the connection to the serious side of remembrance and honor for those who came before us. We mostly want to play, scare the wits out of our friends and neighbors, be scared ourselves, eat way too much chocolate and disguise ourselves as something or someone vastly different than we appear in everyday life. We want to watch movies about the strangeness of werewolves, vampires, haunted houses, ghosts, ghouls, witches, zombies and the occult – my favorite being ‘Rosemary’s Baby’. I personally do not care for blood, guts, and gore. I’m much more interested in the type of horror movie that is thought provoking and slightly strange. A more recent example of horror movies I like would be ‘The Priest’ or ‘Orphan’. In America we like to take haunted hayrides, tour haunted houses and get lost in corn mazes. We decorate with fruits of the harvest – corn stalks, pumpkins, colored leaves, images of our favorite scary creatures such as black cats, bats, witches and broomsticks. What any of this has to do with observances of the pre-deceased is nil. It stems from the druid beliefs of the veil between here and the afterlife being thinnest on this night, and the necessity to disguise oneself as an evil spirit in order to trick a real spirit on a journey to do harm into looking somewhere else. Give him treats – food and drink – of course, but make him afraid of you as well. In other cultures, these are not cohesive thoughts. These are serious days of showing one’s respect and remembrance. That is where the two ideas get lost in translation. The French are starting to come around to the idea of Halloween though – possibly due to the sheer fun of such a holiday – not to mention the consumption of wine and chocolate! Or maybe due to efforts of those in the nineties – nineteen nineties to be sure! I do not think they have evolved as far as wearing costumes, but basic black works great for this type of venture. Just be sure to know that it should be a party designated as such, and don’t confuse frivolity with ‘la fete de Toussaint’. Oddly enough, I was in Paris in early November a few years ago. I noticed the pots of chrysanthemums on the graves and mausoleums, but did not know the significance of why they were so many freshly placed along the walks and tombs. Now I do. My friends and I dedicated most of one day to our ‘Day of the Dead’ as we referred to it. 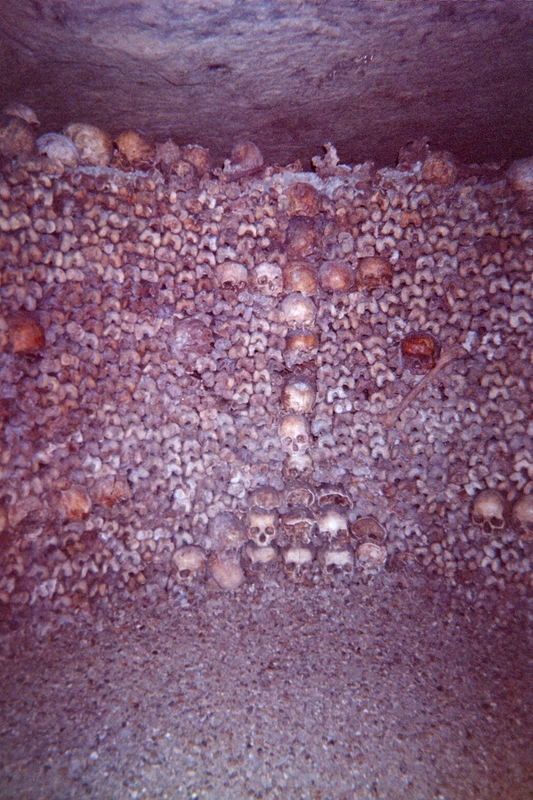 We started in the catacombs and continued through Pere-Lachaise – said to be the most expensive real estate in Paris. 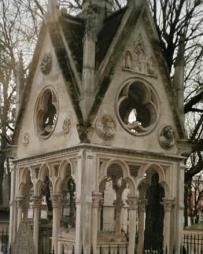 One friend was delighted to find her beloved ‘Abelard and Heloise’ there. 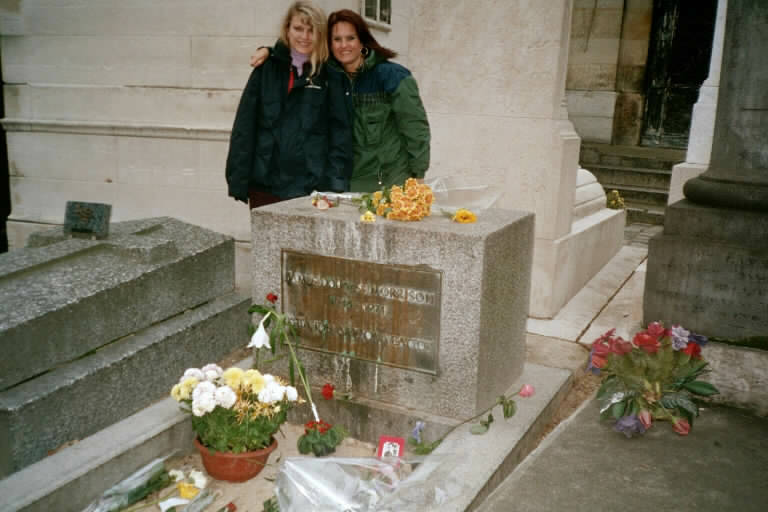 Another found Chopin and my friend Paula and I found Jim Morrison – a bit of an American icon. Maybe in Paris – City of Light – there is not enough darkness for the ghouls to inhabit her streets. What are your plans for October 31 and November 1 and 2? Are you planning a party with a nice bonfire and noise makers, or treating children at the door in a costume of choice, or staying in to watch scary movies on television? If you are in a part of the world that doesn’t celebrate halloween, do you have something similar? Please share your plans and/or the best halloween of memory to date. My best Halloween memory is probably my freshman year at University where four of us dressed up as Kiss. There’s somethingliberating about being in total disguise, isn’t there? Kiss is still cool too! Don that white face paint and head out there again! Trick-or-treating door-to-door at the grand Ahwahnee Hotel in Yosemite. NOT. Will be in Yosemite, but don’t want to get kicked out. Another trip huh? Have a ghoulish good time! I lived in Eastern France, near Geneva, where they DID celebrate Halloween. That first year, 1997, the International Herald Tribune had the most wonderful cover photo — a 7-8 year old girl wearing a witches hat while playing in a pumpkin patch. The Eiffel Tower was in the background. One of my favorite photos ever — and I kept it. It’s here somewhere …. You must find it and post it! Research indicated there had been efforts to bring halloween to France since the early nineteen nineties. But yours is the first proof of its existence in the form of costumes. Love it! We live in a neighborhood with a lot of kids. We have trick or treaters from about 4 PM until about 9 PM. Generally we sit on the front porch with the bowls of candy, order a pizza and drink a little wine while we pass out the candy to the kids. About 9, we generally watch a scary movie. Rosemary’s Baby is one of my favorites too, although my husband likes zombie movies for some reason. We do the pumpkins on the porch, the scarecrow in the yard, and the witch at the front door. Yeah, we’re corny like that! My husband generally wears a costume too. He’s a goof! Renee How can you have so much knowledge about India & Hindu traditions. I am really glad you wrote this. I really can’t imagine you know all these things. And yes I am in a part of the world that doesn’t celebrate Halloween and as per my knowledge we do not have something similar. I hope one day i will experience what is this all about! Lastly one more lovely post. 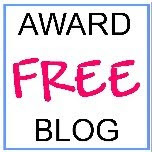 I made you part of my blogroll with out asking you, i hope you will not mind it. 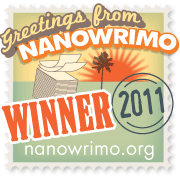 I not only don’t mind the blogroll addition, I am flattered by it. Thank you. I need to add one to my site and list all my favorites as well. You actually inspired this blog. I could tell by your comments on the previous post that you didn’t really ‘get’ the concept of the carved pumpkin and halloween decor. So I’ve been doing research and this post is the result. Thank you for the lovely comment and for being an inspiration. You are welcome !! Actually you are an Inspiration for me, as you read most of my posts & gives your feedback on them.So thanks a lot for that. Thank you so much for that. I have been working on it for days, accumulating too much for one post – thus the links to other websites. I had no idea when I started out that it would lead me back to one of my own experiences. I like your plans for Halloween. The children are darling in their little costumes. I remember how excited my own child was to pretend to be batman, power ranger, a vampire. Some of my favorite photographs of him are at Halloween. Have fun! Excellent post, I loved it. So interesting to read about other parts of the world. The pictures were wonderful too. We plan on taking the two kids out trick or treating but we are getting hit with a major snowstorm tomorrow (very rare, even for us!) Hopefuly we won’t have to schlep around in winter boots while going door to door. Maybe you could go as a tropical warming front – carry a gas heater! Gosh, it is early for snow and if it’s starting now, what in the world will there be later in the winter? Yikes! Thank you for all of the research, Renee … so very interesting! Have fun MJ. Will you be dressing up as well? I’m in the between years – son too old and no grandbabies. But that’s ok, I enjoy seeing other peoples’ costumes and creativity. probably not dressing up … there’s rain in the forecast + now my grandson isn’t feeling well. Might not be going out at all – boo!! One of my favorite memories of Halloween was in New York nearly thirty years ago. A friend of mine was a makeup artist for the opera. That evening I became a little old lady by his skillful design. If his makeup is any indication what I will look like in a few years, I better live hard and fast! I loved Jim Morrison…that is so cool you visited his grave site. Enjoyed the facts about Halloween. Many I had never heard of before. Thanks, Renee! Thank you Annie. Your friend must have been quite talented if he managed to make you passable as ‘an old lady’, especially that long ago. I bet Halloween in New York is exciting! I’d love to hear about it. Having been raised in France I can say this is very accurate. You did a great job with this post! I should have asked you for your input on this one. Are you making up for lost time now that you are stateside? I enjoyed reading this post. I’ve never given much thought to Halloween and, for the past twenty years, have mostly ignored it. I’m always a little puzzled by people’s enthusiasm. Your post helps fill some gaps for me! I do not enjoy being scared, although, like you I do have an interest in the occult. I saw Rosemary’s Baby when I was in my twenties and was profoundly affected by the movie. You’ve stirred up some thoughts tonight! Glad I could bring some memories to the surface for you. I think I love that the most about reading other blogs. I get to enjoy them twice, once from their experience and then again from the memories they evoke. Isn’t Rosemary’s Baby the coolest film? It was probably pretty risque when it came out. And yet, we are often selling our souls for more success of one kind or another. Enjoy a Halloween this year! All jokes aside though, I think in America, there’s always that underlying element, which is revenue. We get lost in the meaning of many holidays as a result of that but I’m hopeful. I think we’re doing better because we have to and have come to the realization of some of the things we take for granted. I’m not a holiday person myself. Every day that I breathe is a day and I kinda do enjoy certain things about different holidays but I don’t get too wrapped up in any of them typically. Totsymae, I get the impression that you have a good time every day and every where you go, which is fantastic. Whatever you choose to do, I hope it lands up in your blog. My son took over the helm of decorating this year with the pumpkin carving which was in the previous post. I just suggested to a lady that she go as a tropical warming front, carrying her own gas heater as they are expecting snow. So I guess you can say I’m not traditional! Have fun! Very interesting! I knew other cultures celebrate Nov 1 “All saints day” and of course I know that we in the US do a more elaborate Halloween than elsewhere. But I didn’t know some of the other traditions you reference. I personally like to keep my decorating to more of a “fall” theme rather than a scary theme. That way I can move right into November with hardly a shift in my decor. I also don’t do blood and gore, my kids always had fun costumes rather than scary ones. Thanks Sheila. I think you are very wise to stick to a fall theme in decorating that allows you to get a bit more from length from the time spent decorating. Wow! Thank you for a fascinating perspective on what truly is a frivolous holiday over here in the US. Apparently it’s the second biggest moneymaker, just after Christmas and that’s huge! But I love learning what other cultures do and what they honor. As for me, my kids are grown so I didn’t do much for Halloween and few kids stopped by my home. Since this is a usual work week, no special plans last night or tonight. Thanks for sharing! 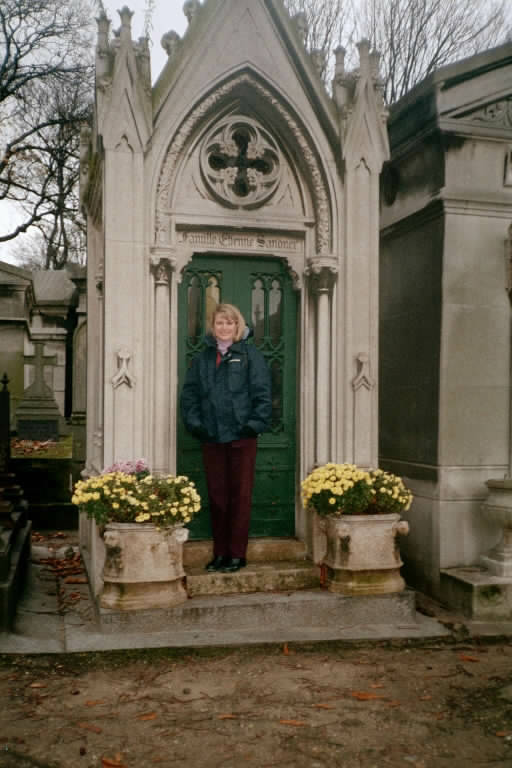 I love that you visited Chopin and Jim Morrison’s grave. Had no idea Jim was buried there. Thank you for visiting the site and for leaving such a nice comment. I only wish we had more time to have spent in the cemetery as it really is a final resting place to many great citizens of the world. I hope you’ll stop back by again. Wow, thanks for all the research – I learned a bunch! I’m late on my comment (I just now signed up to get an email when you post up something new) but just wanted to throw in one of my favorite memories of Halloween as an older kid. It was making a bonfire with some of the local kids at the end of the ranch road and standing around talking and roasting marshmallows till the same cop, that came by every year, told us to put it out. It turned into a tradition of sorts. 😉 I wonder if he misses us? Excellent educational post! My boys had asked me why we celebrate Halloween and I found myself having to research it! I took my boys trick-or-treating in keeping with tradition around here, but just today, I bought their bags of Halloween candy from them for $5 each and took them to buy something that wouldn’t cause cavities! I’m French and very few people celebrate Halloween now. Some people go party in discotheques but children don’t go trick-or-treating anymore. I’m an English teacher and when I talk to Halloween to my young pupils, they are not really excited about it. They only like drawing ghosts or monsters or sing spooky songs but Halloween is not part of their culture. I think it is still celebrated in some parts of France like Brittany because it is a celtic area but in Paris, Halloween has almost disappeared. I regret it because I like ghosts and witches! Hi Marilay. Thank you for commenting. I love getting your point of view since you are French. Luckily the internet can fill in those gaps of Halloween withdrawal.